INTRA GROUP manufacture machinery to make cement wall panels.We offer our client an excellent quality range of Precast Lightweight cement wall panels forming machinery.Cement wall panel are made from very high quality raw material that ensures high durability at its user end.These panels are in high demand.We manufacture and supply different sizes and designs according to customer requirements. 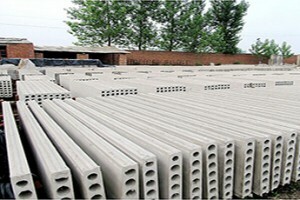 We have 25 to 30 years experience teams in fiber cement industry and our company’s main aim is to focus entirely on innovative design and also to work continuously to modernize and also improve the manufacturing facility so that machinery after installation which gives trouble free high performance. Our strength is its dedicated and highly competent technical team with experienced designers, engineers and skilled workmen of about 150 persons.It is mainly used for construction of Cement walls in order to achieve low cost as well as quick solution.